CEF’s bullion reserves are audited by an independent firm, Ernst & Young LLP., twice per year. GLD and SLV on the other hand do not permit any such transparency. Echoing the former sentiments of disgraced trader Bernie Madoff, investors are just supposed to trust the “word” of the funds that the bullion is there. CEF’s gold and silver is fully insured by Lloyd’s of London. 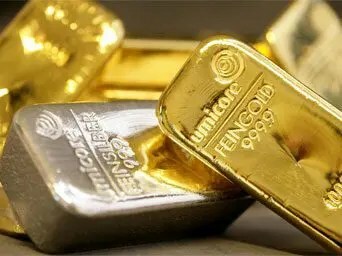 GLD and SLV fully acknowledge that their “reserves” are not insured against any happenstance that may prevent them from repaying their investors in gold or silver. They even reserve the right to compensate investors in US paper dollars if necessary. CEF’s reserves are fully allocated and segregated with the name of each investor attached to particular gold and silver bullion. GLD and SLV’s “alleged” bullion is unallocated and unreserved. There’s no telling just how many competitors you’d have to fight off to get any of your precious metals with these funds. CEF has been in the close-ended fund business backed by gold and silver since 1961. Their directors are well respected in the precious metals market. The custodians of GLD and SLV are HSBC and JP Morgan respectively. Where do I start with these two banks (above)? Well, let’s just say if there was a Who’s Who publication of precious metal naked shorters and market manipulators these firms would be prominently featured. How can you trust a custodian of your long interest metal fund who is accused of making fortunes by manipulating the metal prices downward? Anyone thinking of the fox guarding the chicken coop metaphor here? CEF, unlike it’s ETF step brothers, often sells at a premium to the price of gold and silver. If you’re a day trader that means you can buy and sell shares of the ETF’s more cheaply than you can with CEF [which gives a slight nod to]GLD and SLV. However, for my part, I’m in a long term holding strategy so a small premium is the least of my concerns. Frankly, I see the [above] premium as just an outward manifestation of the inherent preference by sensible investors for a fund that has actual, real gold and silver backing it up rather than glittering ethereal promises of metals. As you might suspect, I own CEF and wouldn’t touch GLD and SLV. Next How ‘Crude’ are Canada’s Oil Sands?